There are many sources of information for those conducting OH research, which practitioners can use when writing reports and university assignments. Pat England and Anne Harriss advise on how to find useful data and assess its validity. Finding and using information is something that OH practitioners do every day. Professionally, we access a range of materials online, including journal articles, policy documents and statistics. Of particular importance are sources such as the Faculty of Occupational Medicine and the newly formed Faculty of Occupational Health Nursing. 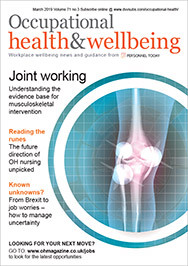 An excellent resource providing an overview of many facets of the effect of work on health is provided by Dr Raymond Agius, professor of Occupational and Environmental Medicine at the University of Manchester. The Royal College of Surgeons also has some very helpful information regarding expected recovery times following a range of surgical interventions. For OH practitioners needing to access materials regarding immunisations, a useful source produced by the Department of Health, known as the Green Book, is available. Equally, the Centre for Disease Control is a US site that provides a range of materials giving a A to Z of OH issues ranging from ageing in the workplace, to the acquisition of zoonotic diseases. Any OH practitioner can also subscribe to the JISC-OH resource, a discussion group with membership of approximately 1,000 practitioners across the globe. It is possible to start a discussion by posing a question relating to your area of interest, and other professionals will respond. As it is funded by the Higher Education Funding Council membership, JISC-OH is at no cost to the subscriber. Recent discussions have included questions relating to audiometry, back pain and blood borne viruses. There is an associated Facebook group on which some useful resources are posted. Membership of JISC-OH is a very useful way of keeping yourself updated across the spectrum of OH practice, as it aims to raise awareness of both current research and best practice. Evidence-based practice is enshrined within Clause 6 of the Nursing and Midwifery (NMC) Code (2015). Evidence-based practice is dependant on the quality of research-based information. Not all evidence is of the same standing and there are various levels, forming a hierarchy. The top three levels within the hierarchy of evidence are: systematic reviews; randomised control trials; and cohort studies. Of these three levels, the best kind of evidence, featured at the top of the hierarchy, are systematic reviews. Systematic reviews are literature reviews where the reviewer identifies all research relating to a specific intervention – for example, whether or not physiotherapy augmented with acupuncture is more effective than physiotherapy alone or whether or not the measles, mumps, and rubella vaccine causes autism. The reviewer appraises and synthesises their position based on the evidence incorporated within the materials presented. The second level within the hierarchy, randomised controlled trials, are studies where people are randomly assigned to different groups and one group is given the treatment in question, while the other is given no treatment or a placebo drug. Cohort studies are incorporated within the third level of the hierarchy. In cohort studies, two or more groups of people with similar characteristics are given a treatment and then followed up to see what effects (if any) are seen. The three levels at the base of the pyramid, in descending order include: case-control studies; case reports; and, at the very bottom of the hierarchy, are editorials and expert opinion pieces. In case-control studies, the contrasting groups that are studied include one that has a disease and one that does not; they are similar in all respects except this, and researchers can then try to study the causes of the condition (all definitions from NICE, 2014). Case reports, expert information and editorials are on the bottom layer of the evidence hierarchy for OH research, mainly as they may not have anything else to back them up. To be credible, OH practice should be based on higher levels of evidence, such as randomised controlled trials and systematic reviews. A major part of the role of an academic librarian is to teach professionals including undergraduate students and senior health professionals with many years’ experience – in precisely this area. There are resources available online that assist in finding information that is reliable and free. This article is a guide to the tools that are out there, and how you can best exploit them. These tools are easy to access and use. You will find a lot of information quickly, but sorting out the good from the less robust may take longer. Google Scholar will find articles from academic journals that may be very useful, if you can access them. Unfortunately, unless the article is published in an open-access journal you will not be able to read it unless you or your employer subscribes to it, or you are prepared to pay for the article – and this can be expensive. Many people regularly use Wikipedia, but it is not a good source of reliable evidence for an academic assignment or for a professional report. Use it for getting a quick overview of a subject that is new to you, but remember “Wikipedia makes no guarantee of validity” (Wikipedia: general disclaimer, 2015). As with all websites, use your judgement, question the information, and ask basic questions such as: “Who put this information online?”; “Why did they put it online?”; “How old is it?”; and “Is it suitable for my purpose?”. Wikipedia is a good starting place in order to get an overview of the topic and it can be a useful springboard for where to go to next in order to collect more credible materials. A number of peer-reviewed journals are available freely online. A good way to search them is to use PubMed, a free-to-use online version of the database Medline. It is supported by the National Center for Biotechnology Information (NCBI), at the US National Library of Medicine, but has international coverage. The results can be limited to open access journals. Another resource that publishes open access journals is Biomed Central. This features subject gateways, and it is possible to sign up to receive updates in your specialist field. The Cochrane Library produces the highest form of evidence – full systematic reviews of all the evidence around a particular intervention. It is a wonderful resource and is made available free online in the UK. Although you may find some systematic reviews are published in subscription-only journals, the full Cochrane reviews are available online. There is also a Cochrane Occupational Health and Safety Group resource. This publishes such reviews as the recent “Preventing occupational stress in healthcare workers”. It is one of the best resources for gold-standard evidence. There are many other reliable and free resources on the web, many produced by the Government. The Health and Safety Executive publishes many online guides, statistics and evidence summaries. The Department of Health publishes government policy papers, and the NHS and NICE are prime British sources of guidance and care pathways, and the NICE Evidence Search allows a search for evidence-based information. Some of this will be in academic journals, but there is much that is freely available. Up-to-date, professional information is available from membership organisations and their journals. Members of the Royal College of Nursing (RCN), can join the Public Health Forum, which covers OH nursing. The Association of Occupational Health Nurse Practitioners (UK) is an OH profession-specific group. For practitioners working in a specialist industry, there may also be a professional institute complete with membership services and even a library that you can access: for example, the Institute of Engineering and Technology has a members’ library that provides access to e-journals and books, and an enquiry service. The RCN has an excellent library service that is free for members and includes access to online journals. They have libraries located in England, Scotland, Northern Ireland and Wales. 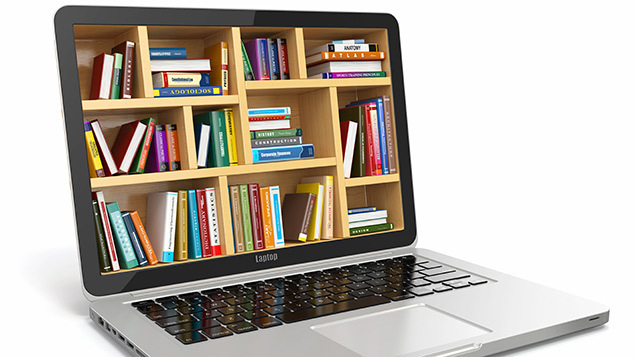 Non-members can currently visit an RCN library and browse the shelves but are unable to access online materials. Studying for a specialist OH qualification at a university provides full access to a range of services and resources, which would not normally be available. Using the university library may be a daunting prospect, especially for those who have not studied for a while, but you probably won’t be the only student who is haunted by the image of the scary librarian with spectacles and a bun who says “Shh!” all the time. So here is a secret – the librarians want to help you. They will be able to show you how to use the resources in the library, and will be happy to answer your questions – even if you think you should know that by now. So treat this as a golden opportunity. The library catalogue is the way to find the books you need. This will also be online, allowing opportunities to search it from home or work. Some libraries have online reading lists, which means you will be able to check instantly to see if the recommended book is available on the shelves without even using the catalogue. The libraries in universities offering part-time or distance learning courses provide special services for those students. Their librarians can either recommend you to a university nearer your home, or will have arrangements to give you the same advantages as full-time students. E-books. For those with a Kindle or another form of tablet there are e-books, which can be read online. Some libraries “lend” these to their members so they can download them for a certain period of time on their own devices; others are not time limited but have to be read online. Not all OH books are published in an electronic format suitable for library use, but, where they are available, they will save you having to make a special trip to the library. Electronic resources: journals. This has been one of the greatest changes in academic libraries in recent years. There may not be shelves of printed journals any more – many will be available online. As highlighted earlier, many scholarly journals were expensive to subscribe to, and thus out of the reach of individual researchers. University libraries subscribe to a range of journals on behalf of their students and staff. These will be available via the university’s web pages, usually by means of a password. One of the first things your librarian should tell you is how you can access these from within the library and from home, and how to find your way around them. Electronic resources: databases. A database is an index to articles in scholarly journals. In the same way that the library’s catalogue includes a listing of the books they have, a database includes what journal articles have been published that are relevant to a particular specialist topic. Most peer-reviewed research is published in the form of journal articles, so it is here that the best evidence will be found. Your librarian can help you learn the best way to use them. It is really important to keep a note of the information you have found so that someone else can find it. Make a note of it at the end of your report, so that it is easy for a reader to check the evidence for what you have written. Or use a citation tool. In academic writing, this is known as referencing, and it is very important, so it is useful to get into good habits from the start. Finding and using information is an essential part of professional OH practice. For those able to access a specialist library, their staff will support you in order that you become self-sufficient in finding information. For those unable to do this, the websites listed in this article provide a headstart. The only way to become proficient in accessing materials is to practice doing it. University of Illinois at Chicago (2015). Levels of evidence, accessed 16 November 2015. National Institute for Clinical Evidence (2014). Glossary, accessed 16 November 2015. Nursing and Midwifery Council (2015). The code: professional standards of practice and behaviour for nurses and midwives. London: NMC. Accessed 16 November 2015. Wikipedia: general disclaimer (2015), accessed 16 November 2015. Pat England, MA, MCLIP is OH nursing specialist librarian at London South Bank University. Anne Harriss MSc, BEd, RGN, OHNC, RSCPHN, CMIOSH, National Teaching Fellow and Principal Fellow HEA, is associate professor and course director at London South Bank University.